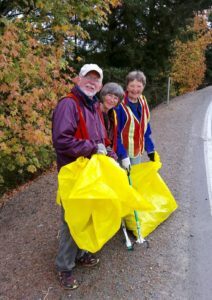 Join the Dayton Community Development Association and community members in cleaning up Dayton’s highways on Saturday, September 27th from 8-11 a.m. Bring your friends, neighbors, kids (age 16 and up) and family and help pick up trash along along 3rd Street/Wallace Rd./Hwy 221. Meet at the Block House Cafe at 8 a.m. (free coffee and courtesy of the Cafe!) and bring work gloves if you have them – the DCDA will provide trash bags and supplies. RSVPs appreciated, to John Francis & Caye Poe at 503 864-3933 or ladycaye001@comcast.net. 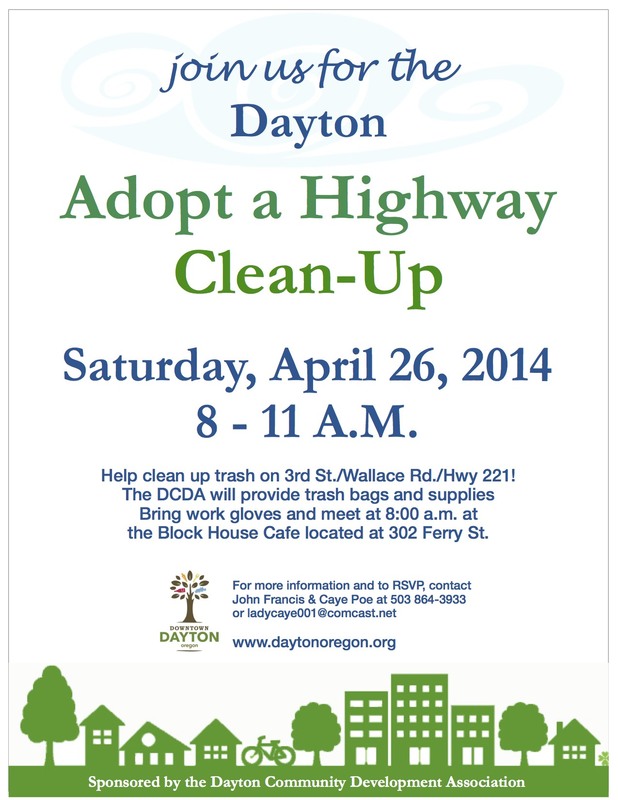 Join the Dayton Community Development Association and community members in a cleanup of Dayton! Join us on Saturday, April 26th, 2014 from 8:00 am – 11 a.m. Meet at the Block House Cafe at 302 Ferry Street at 8 a.m. The DCDA will provide trash bags and supplies! Bring work gloves if you have them. Please share the flyer and bring your friends, neighbors, kids (age 16 and up) and family!